At any given time, there are more than 10,000 inmates at Tihar Prisons, near New Delhi, living in space meant for 5,000. Some men and women choose to work in factories there, earning money by making paper or shoes. And in 2014, the ascotted billionaire Subrata Roy — charged with investor fraud to the tune of $6 billion — also worked during his imprisonment at Tihar. There Roy took on three secretaries in a prison office provided by the Indian government, which wanted him to sell his holdings to pay off his debts. To get some of the money he owed, the Sahara Group chair needed to sell two hotels: the Grosvenor House in London and the Plaza Hotel in New York. The task, however, proved too much to handle from jail, and Roy’s firm was unable to sell the Plaza until four years later, in July 2018, after its chair left on parole. The buyer, Qatar’s state-owned Katara Hospitality, paid $600 million for the historic Manhattan hotel — the embattled Gulf state’s largest Western property investment since a Washington-backed blockade led by Saudi Arabia hit Qatar last year. 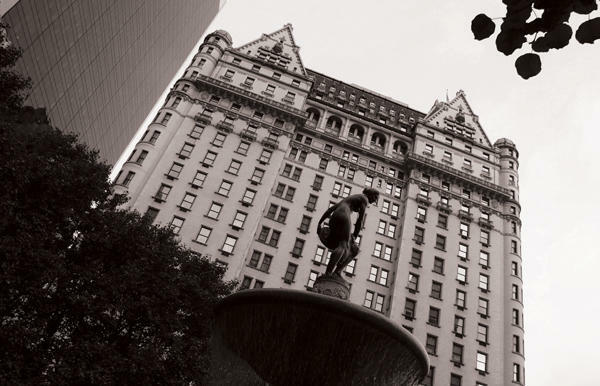 It was another landmark deal for the landmark Plaza, which opened in 1907 on the southeast corner of Central Park and has been owned by Conrad Hilton, Donald Trump and Saudi Prince Al-Waleed bin Talal, among others. But Roy’s path to selling the Plaza was a convoluted one, involving multiple suitors, false starts, lawsuits and disappointments. Declining room rates and hotel revenues in Manhattan made the complicated deal even more of a headache. The latest Plaza trade “took a long time to gestate because the hotel fundamentals in the city were kind of moving in the wrong direction at the time,” said Sean Hennessey, founder of the hospitality consultancy Lodging Advisors. The challenges in the hotel market “made it more difficult to sell an upside story,” while Roy’s imprisonment undercut potential upgrades to the Plaza that could have helped his firm sell it earlier on, Hennessey added. Sahara bought its majority stake in the Plaza from the Israeli development firm Elad Properties for $570 million in 2012. Bin Talal — who’s held onto a portion of his stake since buying the hotel from Trump in 1995 — remained a minority partner, while Indian-American hotel magnate Sant Singh Chatwal took a 5 percent interest. But the 282-key hotel saw few improvements after it came under Sahara’s beleaguered ownership. The Plaza’s iconic bar and restaurant, the Oak Room, and another large dinning space, the Edwardian Room, remained closed. And though Roy managed to renovate the famous Palm Court, where tourists flock to sip tea, the capital was not there, due to Roy’s incarceration, to give the hotel the treatment it badly needed. 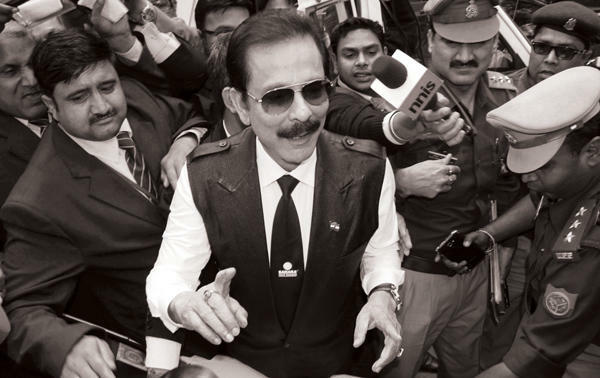 In 2014, as Sahara’s chair worked in Tahir to pay the Indian government, the Plaza was available for sale but never professionally marketed, several sources with intimate knowledge of the matter told The Real Deal. And attempts to sell it to bidders — including Shanghai Municipal Investment — either fell through or were blocked by Indian courts. “[Sahara] never really ran a formal process. They were trying to do it on their own,” said one New York hotel insider familiar with Sahara’s early attempts to unload the property (that person, like many others, spoke on the condition of anonymity). With no buyer, Sahara mortgaged the property in 2015, along with the Dream Hotel in Manhattan and the Grosvenor House, to British billionaires David and Simon Reuben. The Mumbai-born Reuben brothers bought out existing debt from Bank of China for $800 million. Then in 2016, a consortium of Middle Eastern investors offered $1.3 billion for all three of Sahara’s hotels, but Sahara rejected the offer and the Reubens planned to foreclose. “A mother will never like to go to a five star hotel or a hill-station leaving her ailing child behind, because doing so will instill a fear of mental dissatisfaction in her, causing her deep anxiety,” Sahara’s chair wrote in one of several parables referencing five-star hotels. It was soon after that things finally started to move forward for the Plaza and Sahara. In May 2016, Roy’s 95-year-old mother died, allowing him a month of parole that has since been extended several times. The following year, bin Talal’s Kingdom Holding Company announced plans to sell half its 25 percent stake in the Plaza to Ben Ashkenazy, the New York investor who had most recently made tabloid headlines for hiring Drake to perform at his daughter’s bat mitzvah. Ashkenazy later bought Sahara’s Grosvenor House in July 2017 for £575 million (about $750 million at the time) and seemed primed to take over the Plaza. But there was one detail many had glossed over: Ashkenazy’s purchase was backed by loans from Sheikh Hamad bin Jassim bin Jaber Al Thani — former prime minister of Qatar and member of the Qatari royal family. HBJ swooped in on the Plaza and the Dream, providing a $550 million mortgage with interest payments due in one year, Bloomberg reported. With HBJ and Ashkenazy suddenly in a key position to snap up the Plaza, Sahara became more serious about selling. Roy’s firm hired Jeff Davis, the head of JLL’s hotels and hospitality group, to market the property, and Davis brought in at least five different bidders, according to sources. But Ashkenazy and Kingdom Holding, as minority partners, had the right of first refusal to match any bid from outsiders, and it was initially reported that a takeover was their ambition all along. “We are not selling our stake and are comfortable with our rights relating to any sale by others,” Kingdom Holding’s CEO, Sarmad Zok, told the New York Times in August 2017. One source told TRD, however, that the story on the ground was different. The firm’s deal with Ashkenazy came as a shock to some New York investment sales insiders, because Kingdom Holding had been signaling that bin Talal wanted to wind down his American investment portfolio. Representatives for Sahara Group, Katara Hospitality, Kingdom Holding and Ashkenazy did not return requests for comment. An attempt to wind down might have made sense, given that bin Talal was arrested in Saudi Arabia the following fall, another parable having to do with prisons and five-star hotels. Just before midnight on Nov. 4, 2017, hundreds of guests in the country’s capital, Riyadh, were evacuated from a Ritz-Carlton Hotel to make way for prominent Saudi officials and businessmen. Many of those brought to the hotel were members of the royal family who had been detained by 32-year-old Mohammed bin Salman, the Al Saud family heir apparent looking to solidify his ascendancy to the throne through what he called an “anti-corruption” crackdown. The government’s demands were financial in nature: After 83 days of detainment, bin Talal was released in January, having agreed to give the Saudi government $6 billion — coincidentally, the same amount that Roy must repay his firm’s bondholders. “A lot of sports, a lot of walking, a lot of meditation, a lot of watching news, a lot of praying,” bin Talal told Bloomberg after he was released, describing his time under lock and key at the Ritz-Carlton and downplaying reports that he had been tortured. But Mohammed bin Salman put some fear into bin Talal, and also got his money. The Saudi government announced that it would receive a total of $13 billion in assets from bin Talal and other Saudi bigwigs by the end of 2018, and suddenly bin Talal’s incentive to sell his stake in the Plaza looked to have never been greater. And predictably, Ashkenazy and Kingdom Holding exercised their right and matched the offer. “My instincts told me there was a very good a chance that Ashkenazy and Kingdom would not close based on their current circumstances,” Khan said. Ashkenazy and Kingdom Holding had until June 25 to close. And the Plaza’s sale finally seemed like a done deal. But a few weeks after going into contract, the minority owners sued Sahara, complaining that Roy’s firm had asked for too much of a deposit upfront (the amount was never specified). The suit also alleged that Sahara had continued to “negotiate with the initial contract vendees” — Khan and Hakim. Unnamed sources familiar with the deal told Bloomberg that in all likelihood, bin Talal’s firm may have lacked the necessary funds due to the prince’s detainment and agreement to surrender money to the Saudi government. So Ashkenazy and Kingdom Holding’s deadline to close came and went. And less than a week later, one other prior bidder popped up in court records. United Capital, a real estate firm based in Great Neck, filed a complaint in New York state court on June 30 that Sahara had agreed to sell it the Plaza and Dream back in February while “seeking a separate agreement for the sale” to other bidders. United Capital sued Sahara for $1 billion and damages and filed notices of pendency to cloud the deeds on the two hotels. In an affidavit denying United Capital’s claims, Sahara’s head of corporate finance, Sandeep Wadhwa, alleged that the lis pendens on the Dream Hotel complicates a refinancing of an outstanding $100 million loan from HBJ to Sahara backed by the property. That loan is coming due in September, according to Wadhwa’s affidavit. In the midst of those legal battles and the growing pressure for Sahara to repay HBJ with interest, the Plaza’s secret winning bidder was revealed in a Reuters story in early July as Qatar. Not HBJ himself, but Katara Hospitality — an investment vehicle of the Al Thani royal family led by Hamad Abdulla Al-Mulla and a division of Qatar’s sovereign wealth fund, the Qatar Investment Authority. Khan described the final deal as a win-win for HBJ and Qatar: HBJ got his loan repaid, and the sovereign wealth fund of the nation his family rules got an iconic New York hotel. Corcoran Group broker Charlie Attias, who’s sold luxury condos on the Plaza’s upper floors, said residents there had long been looking forward to new management. Hennessey of Lodging Advisors said he expects “to see some redevelopment of the public spaces once the new ownership is there.” Such overhauls would likely include the Plaza’s basement-level food court, which is said to have been underperforming, and some of the hotel’s other retail spaces. When Khan was bidding on the Plaza, he was reportedly in talks with a group to bring some of LVMH’s luxury brands to the building. JLL’s Davis said he expects Katara to rework the hotel’s retail tenant mix and take advantage of unused space in ways that Sahara did not. “There’s so much upside and potential,” he said. The new owners could also benefit from a recovering hotel market.